Product code: 197 Categories: Sold Items, Sold Jewellery. 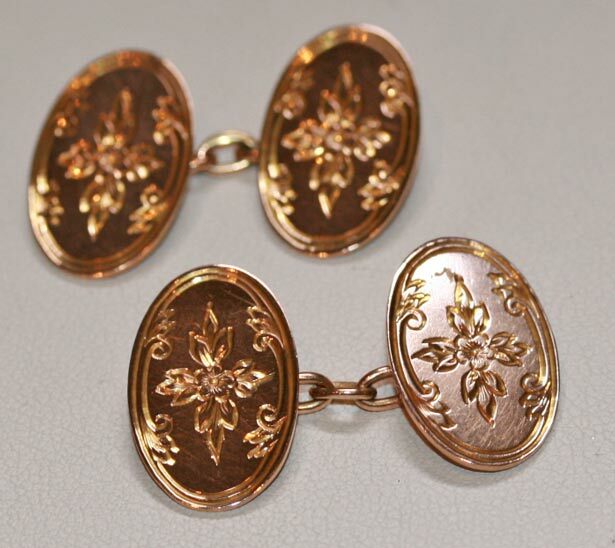 These lovely engraved double sided cufflinks were made in Birmingham 1912. Made in 9ct rose gold, they are such a wonderful design, great for collectors of cufflinks or to give to someone to start a collection off.